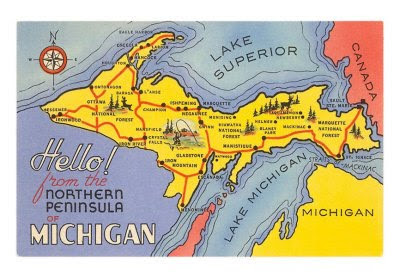 I'm in the midst of an end-of-summer vacation to me and Rose's home state of Michigan. Rose and I both live in the South, but our hearts remain firmly planted in Northern Michigan. 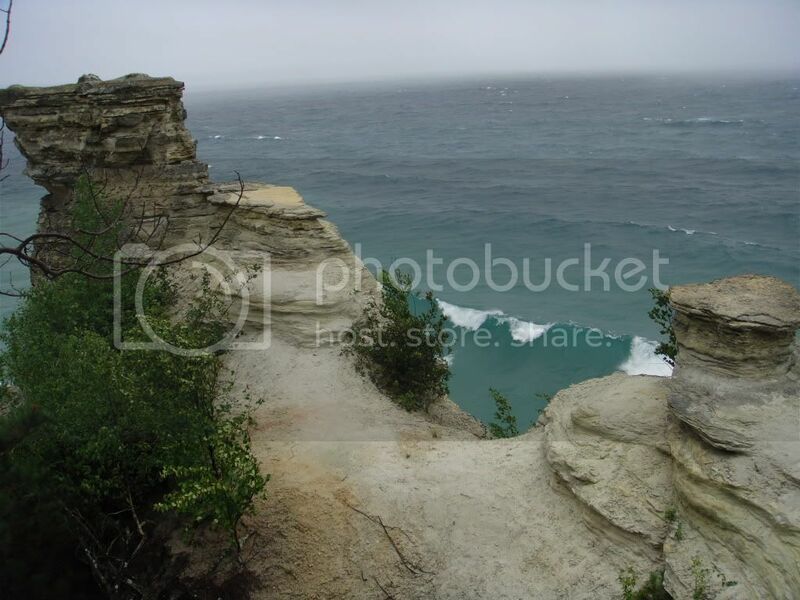 My hubby and I try to take a trip up to Traverse City in the "little finger" of the Mitten State every summer to see friends and family and this little-known part of the country is a true paradise! Gorgeous beaches, lakes, woods, wine country, farmer's markets and locavore restaurants. It's also the "Cherry Capital of the World" and a great fruit growing region. Heck yeah. This year we decided to take a trip up to the Upper Peninsula (or the "U.P." as we Michiganders call it) this time, as I had never really explored that far north. 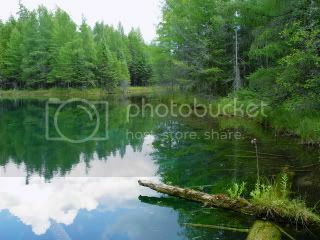 It's a sparsely populated wilderness and water wonderland. I have to say that eating Primally in the land of deep-fried whitefish and pasties was not so easy, so I did my best (and ended up with a much starchier diet than my usual- still strictly gluten-free, though!) but I'm glad to be back in civilization, where I can go to the farmer's market or the co-op and get "normal" food;-) They have great organic farms, meat markets and a local bison herd, so I feel right at home in Traverse City. Taking a sunset cruise around the stunning Pictured Rocks National Lakeshore, on Lake Superior, in Munising. Although I grew up on Lake Michigan, I had never been to Lake Superior, the largest, deepest and coldest of the Great Lakes. 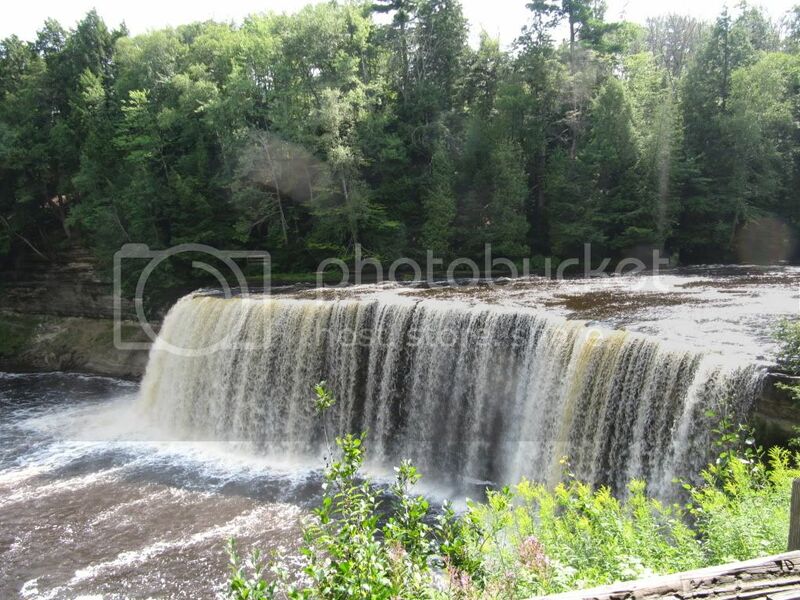 finally seeing the upper and lower Tahquemenon Falls, which are the second largest falls east of the Mississippi, and are featured in Henry Wadsworth Longfellow's epic poem "The Song of Hiawatha": "by the rushing Tahquamenaw" Hiawatha built his canoe. 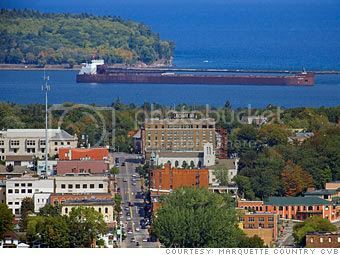 visiting the charming, historic town of Marquette and nearby Presque Isle Park. It was ridiculously windy on Lake Superior that day! It really feels like the end of summer and I can already feel the change of seasons beginning up here in N. MI, but it will still be summer in TN when I get back home.